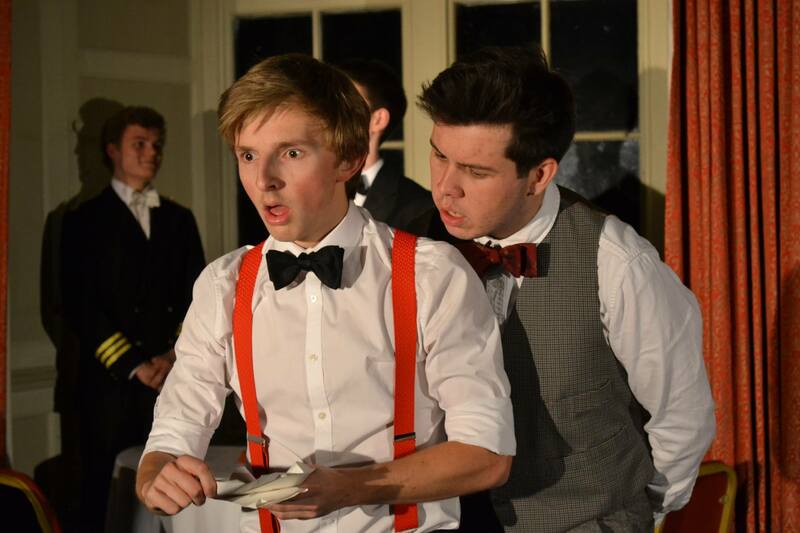 Hello and welcome to the Castle JCR! 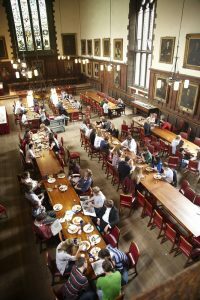 The JCR (short for Junior Common Room) is the name for the undergraduate body within college, but is so much more than just that – it does a huge amount for its members and contributes a great deal to the unique Durham University experience. It’s sort of like a students’ union, but only for undergraduates at Castle! The JCR is run by elected officers, is entirely self-governed and is in charge of its own finances and activities. 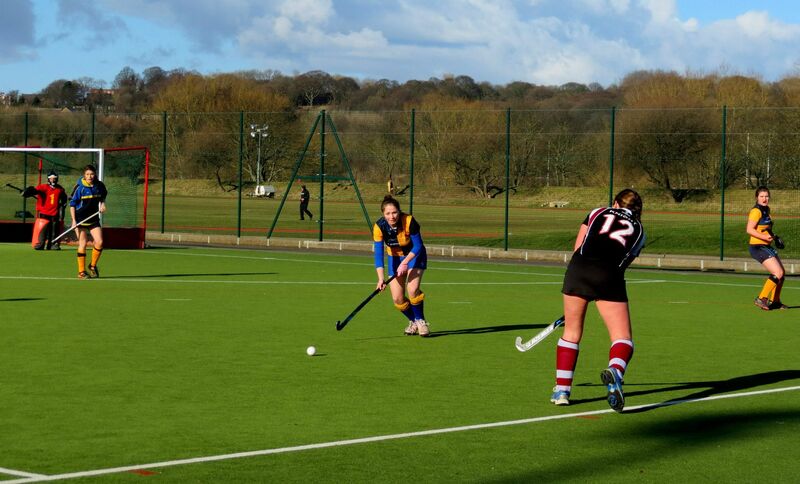 The JCR has more than 30 sports and societies, a wildly successful outreach programme (CCA) that donated more than 1500 hours to the local community last year, an ever-supportive welfare team, an expanding careers service, consistently outstanding balls, regular gowned formals in the Great Hall, a bar (the Undercroft, or Undie) in the 1000 year-old Castle undercroft, the most moreish Café in Durham, and so so much more. 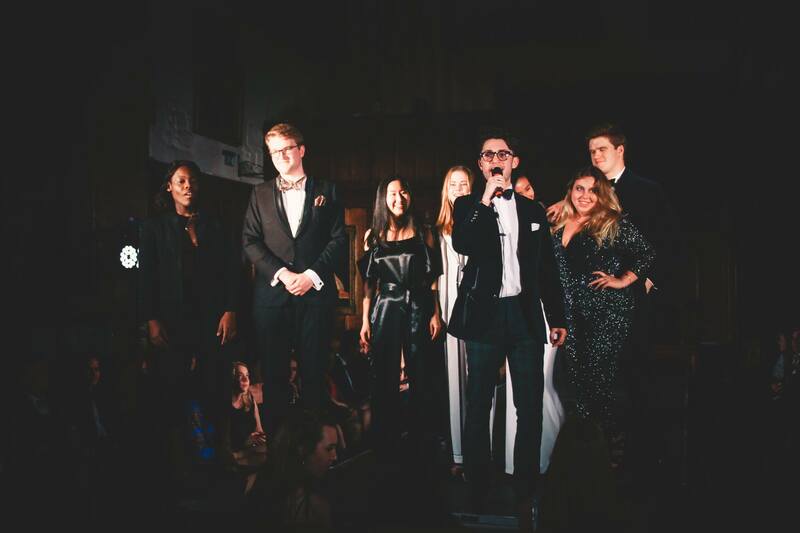 The JCR also performs the crucial function of representing Castle’s undergraduates to the rest of college (the MCR, SCR and College Office), the Durham Students’ Union and the University. 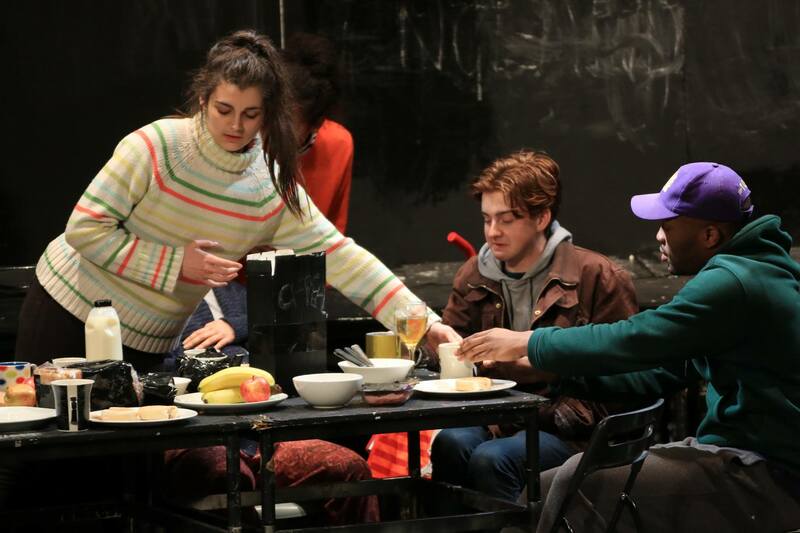 Everyone who gets their grades to come to Durham for an undergraduate degree automatically becomes a member of the JCR at their college, so you don’t have to do anything. You can opt out in your first week if you want to, but Freshers’ Week will undoubtedly demonstrate the benefits of being in the JCR, and soon you’ll love it as much as the second, third and fourth years all do! In the meantime, you can follow us on Twitter (@castlejcr), Instagram (@castlejcr) and like our Facebook page (University College JCR, Durham) to stay updated. 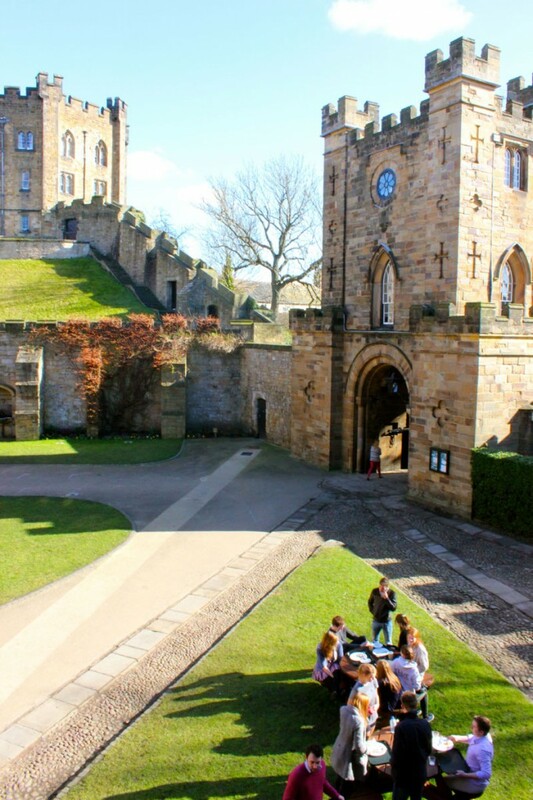 University College was founded in 1832 when the Bishop of Durham, William Van Mildert, donated Durham Castle, former home of the Prince Bishops of Durham, to become the first college of Durham University. The Castle’s construction began in 1072 under the Normans and has been modified considerably by the inhabitants since. 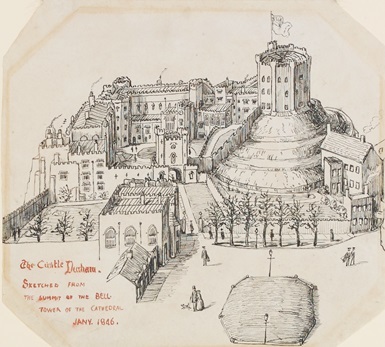 However, 1832 to 1837 saw perhaps the greatest change in its history, as the Castle was converted and the Keep was rebuilt for use as student accommodation. 149 years later, Durham Castle and Cathedral were designated a UNESCO World Heritage Site, the first such site in England, as they are the largest and best-preserved examples on Norman architecture in the country. In fact, the Norman Chapel contains the earliest representation of a mermaid in the world! 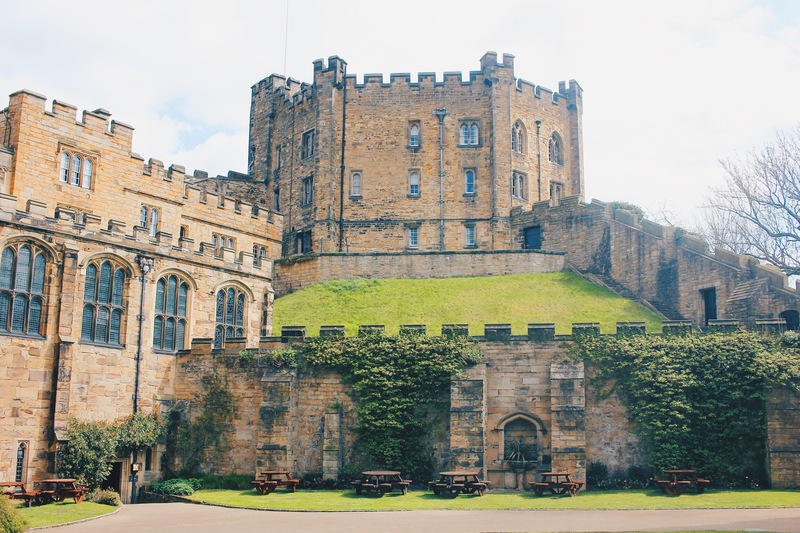 Over the course of the 19th century, Durham University grew and Castle expanded with it, although by the end of WWI the Castle had rapidly escalating maintenance costs and steeply declining enrolment numbers. 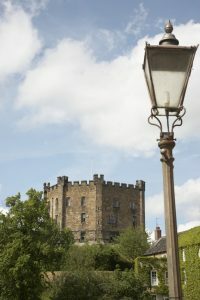 The interwar and postwar years were incredibly formative for Castle: the Lowe Library was opened in 1925, fundraising campaigns allowed for major repairs to be undertaken, most notably to sturdy up the Castle’s foundations before it slipped down the banks into the River Wear, and improvements were made to accommodation in and around Castle. 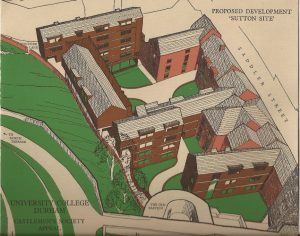 This included the purchase of Lumley Castle in 1946 to house students, and its subsequent sale in the 1970s to fund the building of Moatside, an accommodation block a few minutes from Castle. This large amount of investment paid off and numbers returned to a healthy level, with female students being admitted for the first time in 1987.
t was created from the college wine cellar, the Great Hall floor was replaced after years of erosion from dancing, the Keep and Junction rooms have been completely renovated, college officers have moved from offices in Garden Stairs to the newly built Fellows’ Garden block, and the Undercroft Bar and common room areas have been extensively updated to allow for more student activities. Despite all of this change, we remain grounded in our history and traditions, though also find pride in being a forward-thinking and outward-looking body that will never allow tradition to obstruct progress. 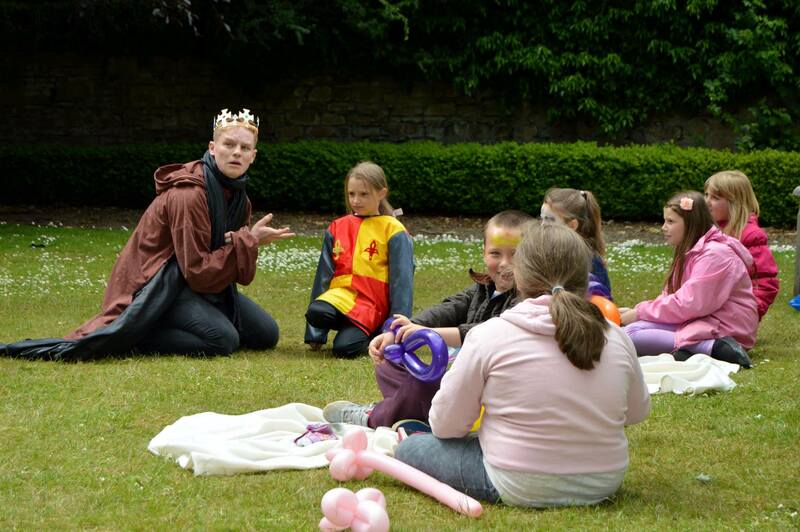 As one of our mottos states, Floreat Castellum – let the Castle flourish! 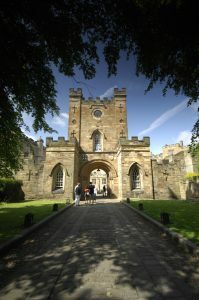 The Durham World Heritage Site contains a fantastic plethora of historical detail into Durham Castle itself, and also another resource into the Castle as a college – University College. Please do also visit University College Durham’s Wikipedia page for a more stand-alone description! University is a great and unique experience for so many reasons, one of which is the opportunity to live away from your parents for the first time. All students living in college accommodation are described as ‘living in’, whilst those not living in college are described as ‘living out’. All first years are given a room in college and then live out in their second year, with some returning to live in college again for their third or fourth years.